Vincent Dole was an American doctor, who, along with his wife Dr Marie Nyswander, developed the use of methadone to treat heroin addiction. Dole and Nyswander, in establishing methadone maintenance treatment (MMT), improved treatment options in addiction medicine which for a century had been based on the conventional view that narcotic addiction was the result of an intractable moral defect. His work resulted in the partial re-legalization of opioid maintenance in the United States. For this contribution he was a recipient of the Lasker Award for Medicine. Rufus Harley, Jr. was an American jazz musician of mixed Cherokee and African ancestry, known primarily as the first jazz musician to adopt the Scottish Great Highland bagpipe as his primary instrument. Arlene Raven was a feminist art historian, author, critic, educator, and curator. Raven was a co-founder of numerous feminist art organizations in Los Angeles in the 1970s. Holger Börner was a German politician of the SPD. Fitz Eugene Dixon Jr. was an American educator, sportsman, and philanthropist. 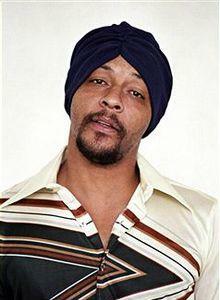 Arthur Taylor Lee was an American singer-songwriter who rose to fame as the frontman of the Los Angeles rock band Love. Love is an American rock group that was most prominent in the late 1960s and early 1970s. 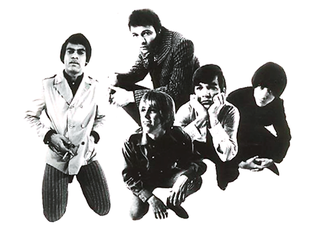 They were originally led by singer/songwriter Arthur Lee, who wrote most of the songs, although some of their best known songs were written by Bryan MacLean. One of the first racially diverse American bands, their music drew on a diverse range of sources including folk rock, hard rock, blues, jazz, flamenco and orchestral pop. Elden LeRoy "Submarine" Auker was an American Major League Baseball pitcher with the Detroit Tigers, Boston Red Sox and St. Louis Browns between 1933 and 1942. Auker batted and threw right-handed. Auker was noted for his submarine pitching style. Julio Galán was a Mexican artist and architect. John Tilden Locke was an American rock keyboardist and a member of the rock group Spirit. Locke was also a member of the band Nazareth in the early 1980s. Aron Gurevich, 82, Russian medievalist. Susan Howlet Butcher was an American dog musher, noteworthy as the second woman to win the Iditarod Trail Sled Dog Race in 1986, the second four-time winner in 1990, and the first to win four out of five sequential years. She is commemorated in Alaska by the Susan Butcher Day. The Iditarod Trail Sled Dog Race is an annual long-distance sled dog race run in early March from Anchorage to Nome, entirely within the US state of Alaska. Mushers and a team of 14 dogs, of which at least 5 must be on the towline at the finish line, cover the distance in 8–15 days or more. The Iditarod began in 1973 as an event to test the best sled dog mushers and teams but evolved into today's highly competitive race. Then a record, the second fastest winning time was recorded in 2016 by Dallas Seavey with a time of 8 days, 11 hours, 20 minutes, and 16 seconds. As of 2012, Dallas Seavey was also the youngest musher to win the race at the age of 25. In 2017, at the age of 57, Dallas's father, Mitch Seavey, is the oldest and fastest person ever to win the race, crossing the line in Nome in 8 days, 3 hours, 40 minutes and 13 seconds. Dallas finished second, two hours and 44 minutes behind. Aron Yakovlevich Gurevich was a Russian medievalist historian, working on the European culture of the Middle Ages. Esther Victoria Abraham, 89, Indian model, actress and film producer. Ángel de Andrés, 88, Spanish theatre actor and director, heart attack. Salvino Azzopardi, 75, Maltese Jesuit priest and philosopher. Hirotaka Suzuoki, 56, Japanese anime voice actor, lung cancer. ↑ Hevesi, Dennis (3 August 2006). "Dr. Vincent P. Dole, Methadone Researcher, Is Dead at 93". The New York Times. Retrieved 7 July 2017. ↑ Hevesi, Dennis (13 August 2006). "Rufus Harley, 70, Dies; Adapted Bagpipes to Jazz". The New York Times . Retrieved 7 July 2017. ↑ "Artnet News: Arlene Raven, 1944-2006". Artnet . 4 August 2006. Retrieved 13 April 2018. ↑ "Artnet News: Jason Rhoades, 1965-2006". Artnet. Retrieved 13 April 2018. ↑ Arthur, Max (11 August 2006). "Lt-Col George Styles". The Independent . Retrieved 13 April 2018. ↑ "'Frank & Ernest' creator Bob Thaves dies". USA Today . 9 August 2006. Retrieved 13 April 2018. ↑ "Cardinal J. Willebrands, 96, Who United Faiths, Dies". The New York Times. 3 August 2006. Retrieved 13 April 2018. ↑ "Iris Marion Young, 1949-2006". University of Chicago . 2 August 2006. Retrieved 13 April 2018. ↑ "Trauer in der SPD: Hessens ehemaliger Ministerpräsident Börner gestorben". Der Spiegel (in German). 2 August 2006. Retrieved 13 April 2018. ↑ "Fitz Dixon Jr., Who Signed Dr. J, Dies at 82". The New York Times. 5 August 2006. Retrieved 13 April 2018. ↑ Jackson, Julian (17 August 2006). "Maurice Kriegel". The Guardian . Retrieved 13 April 2018. ↑ Krentcil, Faran (4 August 2006). "Model Tragedy". Daily Front Row. Archived from the original on 14 November 2013. Retrieved 13 April 2018. ↑ "Kim McLagan". The Daily Telegraph . 4 August 2006. Retrieved 13 April 2018. ↑ "Pajcic: Just a prince of a man". Rivals.com . 2 August 2006. Retrieved 13 April 2018. ↑ "Clamour over anorexic models sweeps Europe". The Nation . 23 September 2006. p. 7A. Retrieved 13 April 2018– via Google News. ↑ Pérez Torres, Laura (4 August 2006). "Ferenc Szusza, legendario futbolista húngaro". El Mundo (in Spanish). Retrieved 13 April 2018. ↑ "John Watters". ESPN CricInfo. Retrieved 13 April 2018. ↑ "John Haase, 82, Dies; Novelist and Dentist". The New York Times. 18 August 2006. Retrieved 13 April 2018. ↑ Sisario, Ben (5 August 2006). "Arthur Lee, 61, a Pioneer of Psychedelic Rock, Is Dead". The New York Times. Retrieved 7 July 2017. ↑ "Ken Richmond". The Times . 12 August 2006. Archived from the original on 16 May 2008. Retrieved 13 April 2018. ↑ Higgins, Charlotte (3 August 2006). "Soprano Elisabeth Schwarzkopf dies, aged 90". The Guardian. Retrieved 13 April 2018. ↑ Goldstein, Richard (5 August 2006). "Elden Auker, 95, Pitcher Known for Submarine Style, Dies". The New York Times. Retrieved 7 July 2017. ↑ Smith, Roberta (15 August 2006). "Julio Galán, 46, Mexican Painter of a Personal, Dreamlike World, Dies". The New York Times. Retrieved 7 July 2017. ↑ "Spirit Keyboard Player John Locke Dies". Sundazed Music. Archived from the original on 25 May 2011. Retrieved 1 September 2006. ↑ "Ex-CM of Orissa Nandini Satpathy passes away". The Times of India . 5 August 2006. Retrieved 13 April 2018. ↑ "In-N-Out matriarch Snyder dies at age 86". Los Angeles Daily News . 8 August 2006. Archived from the original on 6 August 2006. Retrieved 13 April 2018. ↑ "Mush with a happy face!". Trail Breaker Kennels. Retrieved 13 April 2018. ↑ "Member of Parliament Details: Mr Terence McRae". Former Members of the Parliament of South Australia. Retrieved 13 April 2018. ↑ "Hugo Schiltz overleden". De Standaard (in Dutch). 6 August 2006. Retrieved 13 April 2018. ↑ "Daniel Schmid, 64, Swiss Film Director, Is Dead". The New York Times. 8 August 2006. Retrieved 13 April 2018. ↑ "Vilniuje mirė rašytojas G.Beresnevičius". Delfi (in Lithuanian). 7 August 2006. Retrieved 13 April 2018. ↑ McLellan, Dennis (8 August 2006). "Dorothy Healey, 91; Lifelong Communist Fought for Workers". Los Angeles Times . Retrieved 13 April 2018. ↑ "European aristocrat dies in notorious Thai jail". independent.co.uk. Retrieved 2 February 2019. ↑ "Kyrgyz town mourns popular imam". BBC News. 11 August 2006. Retrieved 13 April 2018. ↑ "Stella Moray". The Daily Telegraph. 29 August 2006. Retrieved 13 April 2018. ↑ Wambach, Jessica (7 August 2006). "Motocross pioneer Jim Pomeroy dies in auto accident". Yakima Herald-Republic . Archived from the original on 13 August 2006. Retrieved 13 April 2018. ↑ "Milcho Rusev". Sports Reference . Retrieved 13 April 2018. ↑ Ratliff, Ben (14 August 2006). "Moacir Santos, 80, a Composer Revered in Brazil's Jazz History, Dies". The New York Times. Retrieved 13 April 2018. ↑ "Moacir Santos". Variety . 8 August 2006. Archived from the original on 19 August 2006. Retrieved 13 April 2018. ↑ "Former Qld Nationals president dies". ABC News Online . 7 August 2006. Archived from the original on 10 August 2006. Retrieved 13 April 2018. ↑ Benn, Tony (17 August 2006). "Ian Walters". The Guardian. Retrieved 13 April 2018. ↑ "Monsignor Lawrence (Wawrzyniec) Wnuk". The Windsor Star . 10 August 2006. Retrieved 13 April 2018. ↑ Holley, Joe (11 August 2006). "Mary A. Bain; New Dealer, Hill Staff Chief". The Washington Post. Retrieved 13 April 2018. ↑ "Jim Crooker". The Desert Sun . Archived from the original on 2007-03-11. Retrieved 2018-09-13. ↑ "John Gilbert". ParlInfo. Retrieved 13 April 2018. ↑ "Lois January". Variety . 14 August 2006. Retrieved 13 April 2018. ↑ "Bob Miller, member of Lions' title teams in '50s, dies". ESPN. 9 August 2006. Retrieved 13 April 2018. ↑ Thomas Jr., Landon (9 August 2006). "John L. Weinberg, 81, Former Leader of Goldman, Dies". The New York Times. Retrieved 13 April 2018. ↑ "Cuba dissident Gustavo Arcos dies". BBC News. 8 August 2006. Retrieved 13 April 2018. ↑ Bridgman, Andrew (8 August 2006). "Ohio Executes Satan-Worshipping Killer". CBS News. Retrieved 13 April 2018. ↑ Weiner, Tim (12 August 2006). "Duke Jordan, 84, Jazz Pianist Who Helped to Build Bebop, Dies". The New York Times. Retrieved 13 April 2018. ↑ Hall, Carl T. (27 August 2006). "Dino Restelli – S.F. Seals, Pittsburgh Pirates outfielder". San Francisco Chronicle. Retrieved 13 April 2018. ↑ Ratliff, Ben (17 August 2006). "Miguel Díaz, 45, Conga Player, Dies". The New York Times. Retrieved 7 July 2017. ↑ "George Chapman". The Daily Telegraph. 12 August 2006. Retrieved 13 April 2018. ↑ "Colin Dickinson". Sports Reference. Retrieved 13 April 2018. ↑ Kisselgoff, Anna (10 August 2006). "Melissa Hayden, a Vibrant Star of New York City Ballet, Dies at 83". The New York Times. Retrieved 13 April 2018. ↑ Clute, John (18 August 2006). "Philip E. High". The Independent. Retrieved 13 April 2018. ↑ Soloviov, Vladimir (11 August 2006). "Said Abdullo Nuri, leader of the Islamic Revival Party of Tajikistan, died of cancer in Dushanbe". Ferghana Information Agency . Retrieved 13 April 2018. ↑ "Rafael Ruiz Gijón". Comité Olímpico Español (in Spanish). Retrieved 13 April 2018. ↑ Walsh, Tom (9 August 2006). "Space physicist James Van Allen dies". The Gazette . Archived from the original on 14 January 2007. Retrieved 13 April 2018. ↑ "Derbyshire veteran George Dawkes dies". CricInfo. 22 August 2006. Retrieved 13 April 2018. ↑ Clayson, Alan (29 August 2006). "Barbara George". The Guardian. Retrieved 13 April 2018. ↑ "Ator Irving São Paulo morre aos 41 anos no Rio". Folha Online (in Portuguese). 10 August 2006. Retrieved 13 April 2018. ↑ "Japan's richest man, Yasuo Takei, dies". The Age. 11 August 2006. Retrieved 13 April 2018. ↑ "Yasuo Takei, 76, One of Japan's Richest Men, Dies". The New York Times. 14 August 2006. Retrieved 13 April 2018. ↑ Martin, Douglas (12 August 2006). "Alvin Cooperman, 83, Entertainment Executive, Dies". The New York Times. Retrieved 13 April 2018. ↑ Florio, Gwen (11 August 2006). "Man convicted of three murders executed in Montana". USA Today. Retrieved 13 April 2018. ↑ "TV Personality/Singer Mike Douglas Dies At 81". Billboard . 11 August 2006. Retrieved 13 April 2018. ↑ Fox, Margalit (16 August 2006). "Alice S. Ilchman, 71, Economist Who Headed Sarah Lawrence, Dies". The New York Times. Retrieved 7 July 2017. ↑ "Mazisi Kunene, 76, South African Poet Laureate, Is Dead". The New York Times. The Associated Press. 22 September 2006. Retrieved 7 July 2017. ↑ "Yevgeny Sinyayev". Sports Reference. Retrieved 15 April 2018. ↑ Weiner, Tim (19 August 2006). "Victoria Gray Adams, Civil Rights Leader, Is Dead at 79". The New York Times. Retrieved 7 July 2017. ↑ "France: Camille Loiseau, Oldest Person In France, Dies Aged 114". Seniors World Chronicle. 18 August 2006. Archived from the original on 11 April 2012. Retrieved 13 April 2018. ↑ "Ugandan rebels mourn leader". Business In Africa.net. 14 August 2006. Archived from the original on 27 September 2007. Retrieved 13 April 2018. ↑ "Nicholas Webster (1912–2006)". Internet Movie Database. Retrieved 13 April 2018. ↑ "William Presley "Bill" Baker". Salisbury Post . 14 August 2006. Retrieved 13 April 2018– via Legacy.com. ↑ Weiner, Tim (16 August 2006). "Joseph F. Carlino, 89, Speaker of Assembly From Long Island, Dies". The New York Times. Retrieved 13 April 2018. ↑ "POW rights campaigner Jack Edwards dies". Taipei Times . 15 August 2006. Retrieved 13 April 2018. ↑ Lee, Jennifer 8. (14 August 2006). "President of SUNY Albany Dies, Apparently Drowning". The New York Times. Retrieved 13 April 2018. ↑ "Al Hostak, Holder of the Middleweight Title, Is Dead at 90". The New York Times. The Associated Press. 21 August 2006. Retrieved 7 July 2017. ↑ Korda, Paul (16 August 2006). "Daytime Emmy nominated Tony Jay Loses Fight to Recover". International Entertainment News.com. Archived from the original on 27 September 2007. Retrieved 1 September 2006. ↑ "Dissection Frontman Jon Nödtveidt Commits Suicide". MetalUnderground.com. 18 August 2006. Retrieved 13 April 2018. ↑ "Payao Poontarat, Boxer, Dies at 49". The New York Times. 21 August 2006. Retrieved 13 April 2018. ↑ "A pioneer for farmers' benefit - Ian Beveridge, 1908-2006". The Sydney Morning Herald. 5 October 2006. Retrieved 13 April 2018. ↑ "Johnny Duncan, 67, Country Music Singer, Dies". The New York Times. The Associated Press. 17 August 2006. Retrieved 7 July 2017. ↑ Smith, Anthony (16 August 2006). "Lord Kilbracken: A buccaneering peer, fighter pilot, writer and journalist". The Guardian. Retrieved 13 April 2018. ↑ Friedel, Frederic (16 August 2006). "Adriaan de Groot, chess psychologist (1914–2006)". ChessBase.com. Retrieved 13 April 2018. ↑ "Character actor Bruno Kirby dies". BBC News. 16 August 2006. Retrieved 13 April 2018. ↑ "Luis Fernandez de la Reguera (1966–2006)". Internet Movie Database. Retrieved 13 April 2018. ↑ "Sharks legend Bourke dies of cancer". The Sydney Morning Herald. 15 August 2006. Retrieved 13 April 2018. ↑ "Lynton Caldwell, 92, Helped Write EPA Act of 1969". The New York Sun . 21 August 2006. Retrieved 13 April 2018. ↑ "Maori Queen dies". Television New Zealand . 15 August 2006. Archived from the original on 7 November 2007. Retrieved 15 April 2018. ↑ "Doug White, 61; TV anchor was mainstay of R.I. station". The Boston Globe. Associated Press. 16 August 2006. Retrieved 13 April 2018. ↑ "Faas Wilkes". Wereld van Oranje (in Dutch). Retrieved 13 April 2018. ↑ Lavietes, Stuart (22 August 2006). "Umberto Baldini, 84, Restorer Who Saved Italy's Treasures, Is Dead". The New York Times. Retrieved 13 April 2018. ↑ Jinman, Richard; Morgan, Clare (17 August 2006). "Satirical playwright Buzo dies, 62". The Age. Retrieved 13 April 2018. ↑ McLellan, Dennis (26 August 2006). "Herschel Green, 86; WWII Flying Ace Participated in 100 Combat Missions". Los Angeles Times. Retrieved 13 April 2018. ↑ Peters, Jeremy W. (5 September 2006). "Iris M. Ovshinsky, 79, Partner in Cleaner Auto Technology, Is Dead". The New York Times. Retrieved 13 April 2018. ↑ "Ex-Paraguayan ruler dies in exile". BBC News. 16 August 2006. Retrieved 13 April 2018. ↑ "Alan Vint (1944–2006)". Internet Movie Database. Retrieved 13 April 2018. ↑ "William B. Wasson, 82; Founded Orphanages". The Washington Post. 21 August 2006. Retrieved 13 April 2018. ↑ "Pioneer woman co-op activist Kamariah dies". The Star . 21 May 2011. Archived from the original on 21 May 2011. Retrieved 7 July 2017. ↑ Rose, Anthony (20 August 2006). "Len Evans". The Independent. Retrieved 13 April 2018. ↑ "Ireland great Ken Goodall dies". BBC News. 17 August 2006. Retrieved 13 April 2018. ↑ Thurber, Jon (20 August 2006). "Masumi Hayashi, 60; Photographer Was Known for Profound Panoramic Collages". Los Angeles Times. Retrieved 13 April 2018. ↑ Sardar, Zahid (30 August 2006). "Remembering John Hutton, Designer cut a broad swath through contemporary furniture, textile and accessories world". San Francisco Chronicle. Retrieved 13 April 2018. ↑ Leary, Warren E. (25 August 2006). "Vernon M. Ingram, 82, Who Found Cause of Sickle Cell Anemia, Dies". The New York Times. Retrieved 7 July 2017. ↑ "Walter E. Jagiello". Miami Herald. 19 August 2006. Retrieved 13 April 2018– via Legacy.com. ↑ "Christopher Polge". The Daily Telegraph. 11 September 2006. Retrieved 13 April 2018. ↑ "Legendary Bangladeshi poet dies". BBC News. 17 August 2006. Retrieved 13 April 2018. ↑ "Bernard Rapp Dies". ContactMusic.com. 18 August 2006. Retrieved 13 April 2018. ↑ Cavanaugh, Jack (25 August 2006). "Sig Shore, 87, Producer of 'Superfly', Is Dead". The New York Times. Retrieved 13 April 2018. ↑ "Who was Evan Harris Walker? (1936-2006)". Parapsychological Association . Retrieved 13 April 2018. ↑ Tran, Mai; Silverstein, Stuart (18 August 2006). "Yen Do, 65; Publisher of First, Largest U.S. Vietnamese Paper". Los Angeles Times. Retrieved 13 April 2018. ↑ "Jamie Astaphan, doctor who gave steroids to Ben Johnson, dies at 60". ESPN. 31 August 2006. Retrieved 13 April 2018. ↑ Holley, Joe (22 August 2006). "Longtime Md. Senator, Farmer James Clark Jr., 87". The Washington Post. Retrieved 13 April 2018. ↑ Holley, Joe (20 August 2006). "Kathryn Frost; Was Highest-Ranking Woman in Army". The Washington Post. Retrieved 13 April 2018. ↑ "Fernand Gignac n'est plus". CBC/Radio-Canada (in French). 18 August 2006. Retrieved 13 April 2018. ↑ "St George great 'Killer' Kearney dies". NineMSN . 19 August 2006. Archived from the original on 23 August 2006. Retrieved 1 September 2006. ↑ Fox, Margalit (22 August 2006). "Marvin Barrett, 86, a Leader in Journalism Broadcasting, Is Dead". The New York Times. Retrieved 13 April 2018. ↑ "TV actress Joyce Blair dies at 73". BBC News. 22 August 2006. Retrieved 13 April 2018. ↑ "Alcorn president dies on campus; remembered for his passion for ASU". Picayune Item . 22 August 2006. Retrieved 13 April 2018. ↑ "Joseph Hill, 57, Dies; Led Reggae Group". The New York Times. 21 August 2006. Retrieved 13 April 2018. ↑ Pérez Torres, Laura (26 August 2006). "Obituario / 'Cotorra' Miguez: Futbolista del 'Maracanazo'". El Mundo (in Spanish). XVIII (6098). Archived from the original on 1 September 2009. Retrieved 15 April 2018. ↑ "Mervyn Wood, 89, 4-Time Olympic Rower, Dies". The New York Times. 24 August 2006. Retrieved 13 April 2018. ↑ "Décès de Claude Blanchard". CBC/Radio Canada. 21 August 2006. Retrieved 13 April 2018. ↑ "Stummfilmstar Renate Brausewetter mit 100 Jahren gestorben". Yahoo! News (in German). 20 August 2006. Archived from the original on 25 September 2006. Retrieved 13 April 2018. ↑ "Operational Honours: VC and GC for acts of exceptional valour". Government News Network. 27 September 2007. Archived from the original on 27 September 2007. Retrieved 13 April 2018. ↑ Martin, Douglas (25 August 2006). "Roger Donoghue, 75, Boxer and Brando's 'Waterfront' Trainer, Dies". The New York Times. Retrieved 13 April 2018. ↑ Kennedy, Randy (22 August 2006). "Robert K. Hoffman, 59, National Lampoon Founder, Is Dead". The New York Times. Retrieved 7 July 2017. ↑ "Jack Laughery, 71". Guthrie Center Times. 22 August 2006. Archived from the original on 8 June 2011. Retrieved 12 May 2011. ↑ Hunt, Ken (29 August 2006). "Vashti McCollum". The Independent. Retrieved 13 April 2018. ↑ Uchitelle, Louis (23 August 2006). "Jacob Mincer, 84, Pioneer on Labor Economics, Dies". The New York Times. Retrieved 13 April 2018. ↑ "Roma, morto il regista "Pipolo"". TgCom24 (in Italian). 20 August 2006. Retrieved 13 April 2018. ↑ Goldstein, Richard (21 August 2006). "Joe Rosenthal, Photographer at Iwo Jima, Dies". The New York Times. Retrieved 13 April 2018. ↑ "Former Vic Govt minister Trezise dies". ABC News Online. 21 August 2006. Archived from the original on 12 March 2007. Retrieved 7 July 2017. ↑ "Lord Deramore". The Daily Telegraph. 24 August 2006. Retrieved 13 April 2018. ↑ "Maximo Carvajal passed away". afNews (in Italian). 24 August 2006. Archived from the original on 28 September 2007. Retrieved 16 April 2018. ↑ "India mourns legendary musician". BBC News. 21 August 2006. Retrieved 13 April 2018. ↑ Berglund, Nina (21 August 2006). "Veteran politician dies at 60". Aftenposten . Archived from the original on 4 June 2011. Retrieved 1 September 2006. ↑ "Former Test bowler Geff Noblet dies aged 89". International Cricket Council . 22 August 2006. Archived from the original on 26 September 2007. Retrieved 13 April 2018. ↑ Markoff, John (23 August 2006). "William C. Norris, 95, Founder of an Early Rival to I.B.M., Dies". The New York Times. Retrieved 13 April 2018. ↑ McLellan, Dennis (2 September 2006). "Buck Page, 84; Singer Founded the Original Riders of the Purple Sage". Los Angeles Times. Retrieved 13 April 2018. ↑ "Billionaire Dutch landowner dies". BBC News. 22 August 2006. Retrieved 13 April 2018. ↑ Lev-Ari, Shiri (22 August 2006). "S. Yizhar: 1916-2006". Haaretz . Retrieved 13 April 2018. ↑ "Bruce Gary, 54, Drummer for the Knack, Dies". The New York Times. 24 August 2006. Retrieved 13 April 2018. ↑ "Photographer who captured Henderson's winning goal dead at 79". CBC News. 22 August 2006. Retrieved 13 April 2018. ↑ "Simeon Pereira dies". Dawn . Pakistan. 24 August 2006. Retrieved 13 April 2018. ↑ Weiner, Tim (25 August 2006). "Maynard Ferguson, 78, Trumpeter and Bandleader, Dies". The New York Times. Retrieved 13 April 2018. ↑ "Very Rev John Lister". The Daily Telegraph. 1 September 2006. Retrieved 13 April 2018. ↑ "Rear Admiral Nigel Malim CB, LVO, DL". Market Rasen Mail . 8 November 2006. Retrieved 13 April 2018. ↑ "Poet Ayyappa Paniker dead". The Times of India . 23 August 2006. Retrieved 13 April 2018. ↑ "Pakistan saddened by Raja death". BBC News. 23 August 2006. Retrieved 13 April 2018. ↑ "Colin Forbes (Raymond Sawkins)". The Times. 24 November 2006. Archived from the original on 22 June 2011. Retrieved 13 April 2018. ↑ "David Schnaufer, 53, Dulcimer Player, Dies". The New York Times. Associated Press. 26 August 2006. Retrieved 13 April 2018. ↑ Fox, Margalit (26 August 2006). "Marie Tharp, Oceanographic Cartographer, Dies at 86". The New York Times. Retrieved 13 April 2018. ↑ "We Will Miss You Ed Warren!". GhostStudy.com. Archived from the original on 22 October 2006. Retrieved 1 September 2006. ↑ "Former BR News Personality Jay Young Dies". WAFB . Retrieved 13 April 2018. ↑ "Edwin Earl Brown". LocateAncestors.com. Retrieved 13 April 2018. ↑ "Vertriebenen-Funktionär Hupka gestorben". Kölner Stadt-Anzeiger (in German). 29 August 2006. Archived from the original on 29 September 2007. Retrieved 13 April 2018. ↑ Liptak, Adam (1 September 2006). "Leonard Levy, 83, Expert on Constitutional History, Is Dead". The New York Times. Retrieved 13 April 2018. ↑ "Cristian Nemescu (1979–2006)". Internet Movie Database. Retrieved 13 April 2018. ↑ "Умер актер Виктор Павлов". Utro.ru (in Russian). 24 August 2006. Retrieved 13 April 2018. ↑ Wilford, John Noble (1 September 2006). "Rocco Petrone, NASA Official, Dies at 80". The New York Times. Retrieved 7 July 2017. ↑ "David Plowright". The Times. 28 August 2006. Archived from the original on 22 June 2011. Retrieved 13 April 2018. ↑ Lavietes, Stuart (28 August 2006). "Ralph Schoenstein, Humorist and Author, Is Dead at 73". The New York Times. Retrieved 13 April 2018. ↑ Midgette, Anne (29 August 2006). "Léopold Simoneau, 90, Acclaimed Mozart Tenor, Dies". The New York Times. Retrieved 7 July 2017. ↑ Gann, Kyle (26 August 2006). "James Tenney, 1934-2006". PostClassic. Retrieved 13 April 2018. ↑ "Andrei Toncu (1978–2006)". Internet Movie Database. Retrieved 13 April 2018. ↑ "John Weinzweig, Canada's dean of classical composing, dies". CBC News. 25 August 2006. Archived from the original on 10 September 2009. Retrieved 13 April 2018. ↑ "Oud-arbiter John Blankenstein overleden". NU.nl . 25 August 2006. Retrieved 13 April 2018. ↑ James, Kayode (14 September 2006). "Hassanali's memorial unites faiths". The Trinidad Guardian . Retrieved 13 April 2018. ↑ "President Robert Kocharyan conveys condolence on the occasion of poetess Silva Kaputikyan's death". Public Radio of Armenia . 25 August 2006. Archived from the original on 20 July 2011. Retrieved 21 February 2010. ↑ "Vijay Mehra dies at 68". ESPN CricInfo. 25 August 2006. Retrieved 13 April 2018. ↑ "Joseph Stefano, 84, Screenwriter for 'Psycho' and Television, Dies". The New York Times. 31 August 2006. Retrieved 13 April 2018. ↑ Brady, Nicole (26 August 2006). "Ross Warneke dies, aged 54". The Age. Retrieved 13 April 2018. ↑ "Rainer Barzel ist tot". Zweites Deutsches Fernsehen (in German). 26 August 2006. Archived from the original on 7 March 2007. Retrieved 13 April 2018. ↑ "1927-2006: Nawab Akbar Bugti Killed". All Things Pakistan. 26 August 2006. Retrieved 13 April 2018. ↑ Fox, Margalit (5 September 2006). "John Ripley Forbes, 93, Who Planted Many Nature Museums, Is Dead". The New York Times. Retrieved 7 July 2017. ↑ Gefter, Philip (9 September 2006). "William Garnett, 89, Aerial Photographic Artist, Dies". The New York Times. Retrieved 7 July 2017. ↑ "Кучеревский Евгений Мефодьевич". FC Dnipro (in Russian). 27 August 2006. Retrieved 13 April 2018. ↑ "Father Marie-Dominique Philippe returns to the Father". Archived from the original on 2007-09-08. Retrieved 1 September 2006. ↑ "Obituary: Sherman [Sir Alfred] (1919-2006)". Margaret Thatcher Foundation. 26 August 2006. Retrieved 13 April 2018. ↑ "'King of kitsch' Tretchikoff dies". BBC News. 29 August 2006. Retrieved 13 April 2018. ↑ "Windies mourn Test great Walcott". BBC News. 26 August 2006. Retrieved 13 April 2018. ↑ "World's oldest woman dies at 116". BBC News. 28 August 2006. Retrieved 13 April 2018. ↑ "Tee Corinne Has Died Today". Susie Bright's Journal. 27 August 2006. Retrieved 13 April 2018. ↑ Miller, Dan (29 August 2006). "Jon Dough Passes Away". AVN . Archived from the original on 4 July 2007. Retrieved 13 April 2018. ↑ "Paul Gutty". Cycling Archives. Retrieved 13 April 2018. ↑ "Ike Bruce Hildebrand". Canada's Sports Hall of Fame . Retrieved 13 April 2018. ↑ Cheney, David M. "Archbishop Juan Ignacio Larrea Holguín". Catholic Hierarchy. Retrieved 13 April 2018. ↑ "Iain Mackintosh". The Scotsman. 5 September 2006. Retrieved 13 April 2018. ↑ "Morre dom Luciano Mendes de Almeida, arcebispo de Mariana". Folha Online (in Portuguese). 27 August 2006. Retrieved 13 April 2018. ↑ "Veteran Bollywood director dies". BBC News. 27 August 2006. Retrieved 13 April 2018. ↑ Griffiths, Richard (1 September 2006). "David Nicholson". The Independent. Retrieved 13 April 2018. ↑ "Ex-Napalm Death Guitarist Jesse Pintado Dies". RoadrunnerRecords.com. 28 August 2006. Archived from the original on 2 September 2006. Retrieved 13 April 2018. ↑ Amidi, Amid (31 August 2006). "Ed Benedict (1912-2006), RIP". Cartoon Brew . Retrieved 13 April 2018. ↑ "Democrats party founder dies". The Age. 29 August 2006. Retrieved 13 April 2018. ↑ "Mary Lee Robb Cline, 80; Played Gildy's Niece on 'The Great Gildersleeve'". Los Angeles Times. 8 September 2006. Retrieved 13 April 2018. ↑ "Ludwig Hemauer". Sports Reference. Retrieved 13 April 2018. ↑ "Heino Lipp (1922–2006) kergejõustiklane, treener ja sporditegelane". Estonian Cemetery Portal (in Estonian). Retrieved 13 April 2018. ↑ "Robert F. McDermott, 86, General Who Led Insurer, Dies". The New York Times. 29 August 2006. Retrieved 13 April 2018. ↑ Perrone, Pierre (30 August 2006). "Pip Pyle". The Independent. Retrieved 13 April 2018. ↑ Hevesi, Dennis (31 August 2006). "William F. Quinn, 87, Governor Elected as Hawaii Became State, Is Dead". The New York Times. Retrieved 7 July 2017. ↑ Rourke, Mary (17 September 2006). "Michael Richard, 58; Blind Photographer Found Abstract Forms in Urban Locales". Los Angeles Times. Retrieved 13 April 2018. ↑ "BQ MP Benoit Sauvageau killed in traffic accident". CTV . 29 August 2006. Archived from the original on 11 March 2007. Retrieved 13 April 2018. ↑ Chang, Kenneth (30 August 2006). "Melvin Schwartz Dies at 73; Won Nobel Prize in Physics". The New York Times. Retrieved 7 July 2017. ↑ Kavanagh, Dennis (28 August 2006). "Sir Alfred Sherman". The Guardian. Retrieved 13 April 2018. ↑ Crook, Tasha (10 September 2006). "Yamaha's Kent Andersson Passes Away". LondonBikers.com. Archived from the original on 5 December 2008. Retrieved 13 April 2018. ↑ "Unionist John Cummins dies, aged 58". The Age. 30 August 2006. Retrieved 13 April 2018. ↑ Pearce, Jeremy (14 September 2006). "Robert Gorlin, 83, Pathologist and Expert on Facial Malformations, Is Dead". The New York Times. Retrieved 13 April 2018. ↑ Hawtree, Christopher (22 September 2006). "Gerald Green". The Guardian. Retrieved 13 April 2018. ↑ Westphal, Matthew (1 September 2006). "Pianist Benjamin Rawitz Found Murdered in Brussels Apartment Building". Playbill . Retrieved 13 April 2018. ↑ "John Scandrett". ESPN CricInfo. Retrieved 13 April 2018. ↑ "Rockabilly's Jumpin' Gene Simmons dies". MSNBC. 30 August 2006. Retrieved 13 April 2018. ↑ "Bill Stewart (I) (1942–2006)". Internet Movie Database. Retrieved 13 April 2018. ↑ "Lord Cooke of Thorndon". The Times. 22 September 2006. Archived from the original on 22 June 2011. Retrieved 13 April 2018. ↑ Severo, Richard (31 August 2006). "Glenn Ford, Leading Man in Films and TV, Dies at 90". The New York Times. Retrieved 13 April 2018. ↑ "Susan Lynn Hefle". Roper & Sons. Archived from the original on 28 September 2007. Retrieved 15 October 2006. ↑ "Margaret Hubble". The Daily Telegraph. 22 September 2006. Retrieved 13 April 2018. ↑ Elliot, John (15 September 2006). "Emrys Jones". The Guardian. Retrieved 13 April 2018. ↑ "Igor Kio; famous Russian illusionist; 62". The San Diego Union-Tribune . 2 September 2006. Archived from the original on 2 February 2013. Retrieved 7 July 2017. ↑ Rozakis, Bob (4 September 2006). "R.I.P. Colorist Bob LeRose". Comicon.com. Archived from the original on 26 September 2007. Retrieved 13 April 2018. ↑ "President pays tribute to Mahfouz". BBC News. 30 August 2006. Retrieved 13 April 2018. ↑ "Long-serving MP Lord Monro dies". BBC News. 30 August 2006. Retrieved 13 April 2018. ↑ Louie, Elaine (10 September 2006). "Bill Stumpf, 70, a Designer of the Aeron Ergonomic Office Chair, Dies". The New York Times. Retrieved 7 July 2017. ↑ "Heart defect kills Egypt defender". BBC News. 31 August 2006. Retrieved 13 April 2018. ↑ Yeoh, Oon (1 September 2006). "Buddhist icon Dhammananda dies at 87". The Buddhist Channel . Retrieved 13 April 2018. ↑ Goldstein, Richard (4 September 2006). "Guy Gabaldon, 80, Hero of Battle of Saipan, Dies". The New York Times. Retrieved 13 April 2018. ↑ Woo, Elaine (14 September 2006). "J.S. Holliday, 82, Historian of the California Gold Rush". The New York Sun. Retrieved 13 April 2018. ↑ "Lord Strathcarron". The Daily Telegraph. 12 September 2006. Retrieved 13 April 2018. ↑ "Mike Magill". Latest F1 News. Archived from the original on 2 April 2012. Retrieved 13 April 2018. ↑ "Charlie Wagner, 93, a Red Sox Veteran, Dies". The New York Times. 2 September 2006. Retrieved 13 April 2018.